* Your mobile phone might be stolen by thief and tracking the messages can help you to find out where your phone is. * You may lose your phone carelessly but you can get and read the messages as well if you have tracked the SMS. * You are able to know the contents of messages and the information of the sender or receiver even when you don't have the phone. 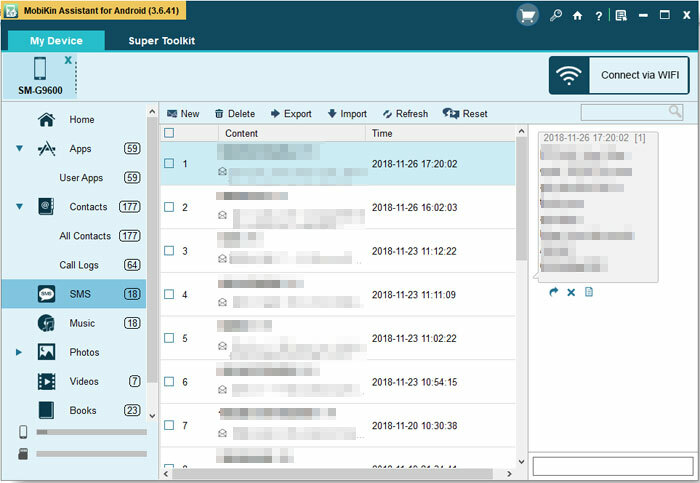 From here you can see tracking messages from another phone can help you to ensure the safety of your personal privacy and get back the wanted messages easier when you lose your phone. So do not hesitate to get the way of tracking messages from another phone. The most direct way to track text messages is to use a spy application. This kind of software is not rare on the market so you can choose the suitable one to track messages. And here, for your reference, we would like to introduce mSpy- a application can easily track calls, messages and other applications. But it is a little bit expensive. Step 1. Download the App from mspy.com and then install it on the target phone. Step 2. Next, you need to set up your dashboard so that you can control all the spy operation. Step 3. Once the software is installed and the control panel is set, you can begin to read all the hidden messages on the phone. Here the information you can get includes the incoming and outgoing text messages, the name and number of the sender and receiver. But what if you don't have the phone? How can you track and read the messages? In this case, you can try to backup and restore the messages to achieve your goal. This is also an easy-to-operate way cause there are many means available for users to backup and restore their text messages. Here you can select SMS Backup & Restore as your assistant. This program allows you to backup messages in XML format and also enables you to restore them. In addition, you can delete the unwanted messages by using it as well. With it, you can backup the messages on your target phone and then restore them on another phone to read them. How to Backup Andriod SMS as HTML? Method 3. How to Read Text Messages from Another for Free? Step 1. 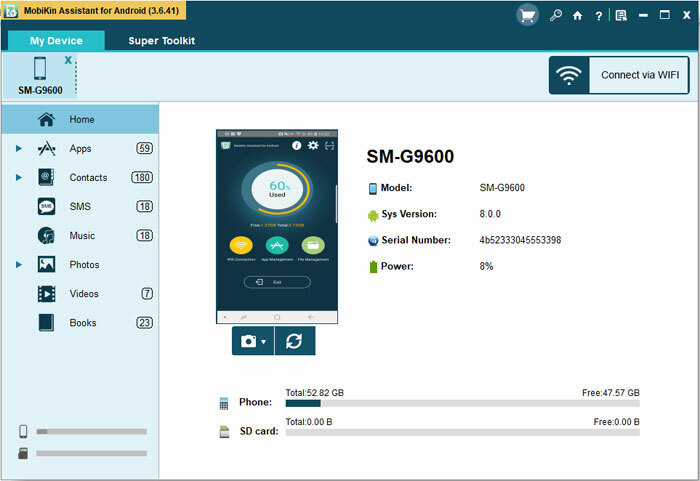 Download and install the software on your computer and link your phone to computer. 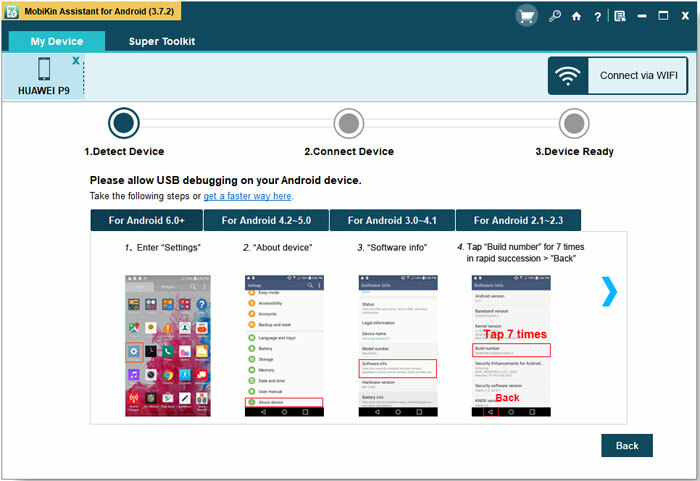 Here, to make your phone be detected, you need to open USB debugging on your phone and install USB driver on computer. Then the tool will detect the connected device automatically. Step 2. Once the program detects your phone, it will display the specific information of the device on the screen. Then just tap on SMS in the left panel to locate and preview its contents. Step 3. Now you can check all the messages that you want to backup and hit Export to move them to computer. After that, you can view and use these messages on your computer freely. And if you are using an iPhone, you can use MobiKin Assistant for iOS to have a try also. How to Fix iMessages/Text Messages Not Sending on iOS Device?